I’m back today with my latest project for the Altenew Educator Certification Program to complete the Impressive Heat Embossing Class. I usually make a big mess when I add embossing powder to my cards. I often forget to use an anti-static tool before stamping the embossing ink so I usually end up with stray bits of embossing powder all over my image. I’ve been experimenting more and more with using clear embossing powder over colored ink to get the crisp and clean results that I prefer. The added benefit is that it extends the use of my growing collection of inks. For this card, I used a scallop die to cut a piece of 80# Neenah card stock. I placed the shaped card stock in my Misti and arranged several stamps from the Persian Motifs stamp set along the edge. 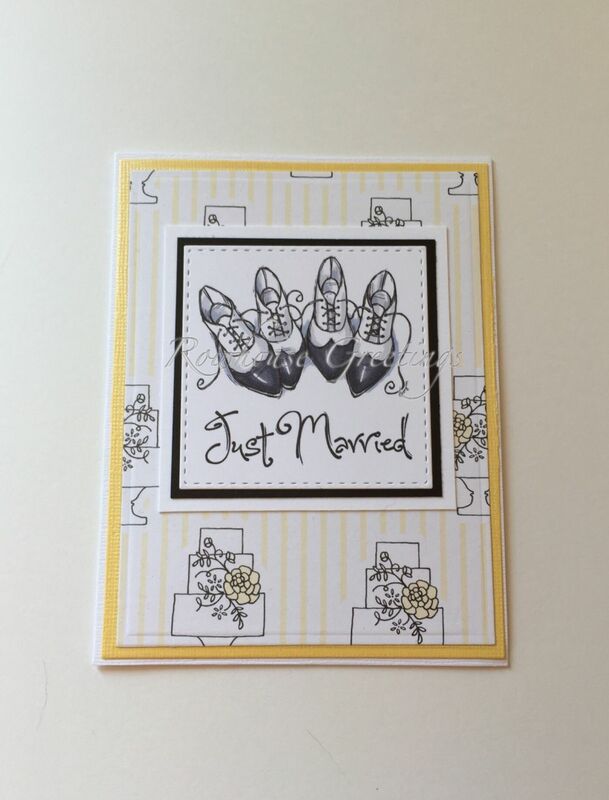 I stamped the image several times using Delicata Ink in Golden Glitz, covered the stamped image with clear embossing powder, and heat set the powder. Delicata is one of my favorite inks and the result is a crisp outline when combined with heat embossing. Any stray bits of embossing powder disappear on the white background so I can look like an embossing pro instead of the usual klutz that I am with colored embossing powder. I cut the sentiment three times from 80# Neenah card stock, stacking and gluing two of the pieces together. For the third, I blended the die cut with Altenew Crisp Die Ink. Then I stamped the sentiment with my embossing ink pad and covered it with clear embossing powder. After heat setting the sentiment, I glued it to the previous stack, offsetting it slightly to add dimension. I stamped the remaining sentiments in black ink and glued the die cut sentiment in place. It still felt like something was missing so I added a few colored dew drops to complete my card. So that’s all from me for now. What’s on your craft table today? Have you heard the news? Power Poppy’s Peep in Chief Marcella Hawley is getting married! TOMORROW! So we’re having a special Power Poppy wedding hop today to celebrate her special day. We know that she’s just agog with all the last minute preparations so we’re giving her a moment to put up her feet, give Power Puppy Tibbs an ear scritch, and take a deep breath before the big day. Come along and take a look at the special cards that we’ve put together today in her honor. Somehow, I suspect that Marcy won’t be a traditional bride. While I’m sure there will be lots of flowers and lots of love on her big day, designing a traditional wedding card with hearts and lace just didn’t seem the way to go. 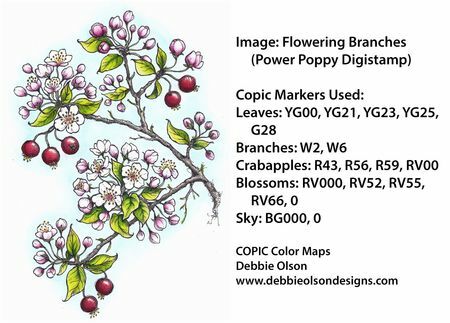 So I decided to use the Aster’s Abuzz Digital Stamp – its explosion of wild flowers and bees just seemed to capture what I think will be the mood of the day – eclectic, electric, and just bursting with energy. So Marcy – all the best to you and Douglas on your wedding day! We can’t wait to hear all about it and see all the photos. 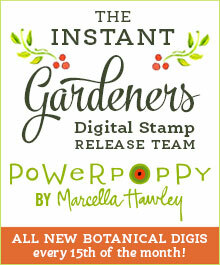 In the meantime, take a look at what Team Power Poppy has in store for you! 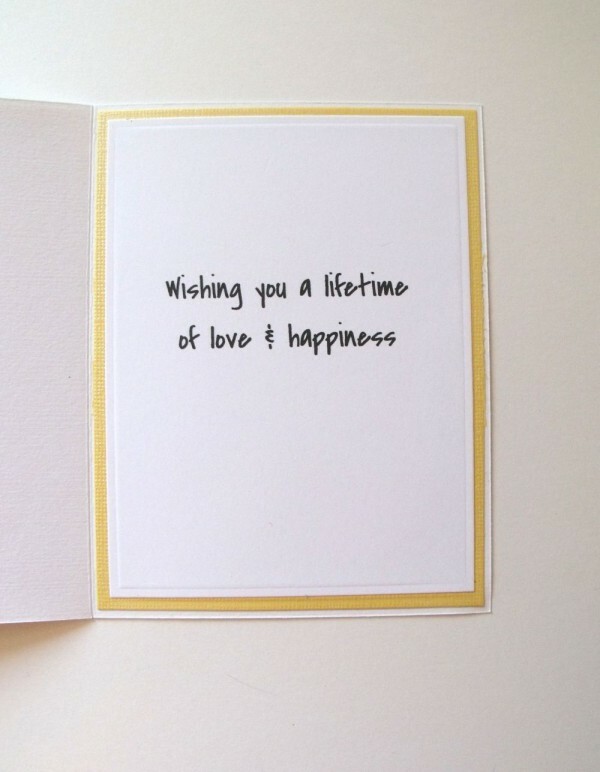 Be sure to stop by the Power Poppy Blog and leave a congratulatory note for the bride and groom! I was recently asked to make a card for a friend’s niece who was celebrating her 33rd wedding anniversary this week. At first, I started designing a card with hearts and flourishes, but it looked more suitable for a wedding or Valentine’s card. So I went back to the drawing board and pulled out an old favorite – Flowering Branches by Power Poppy. This image really is quick and easy to color and is elegant in its simplicity. I was further aided by using the color map for this image devised by my Instant Gardener teammate Debbie Olson. Hope my card gives you some crafty inspiration! In light of the recent Supreme Court ruling and at the request of a friend, I recently created this card. The image is Grooms’ Shoes by Mo’s Digital Pencil. 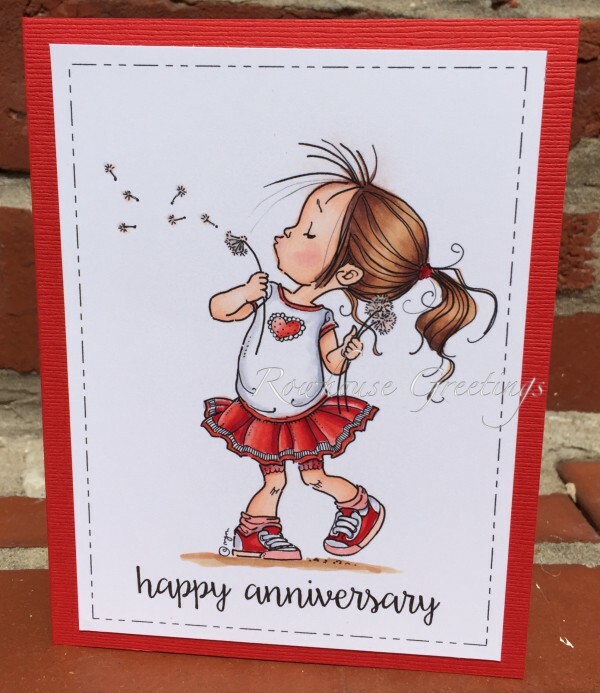 Just a quick and simple anniversary card featuring the Make a Wish digital stamp by Mo’s Digital Pencil. I did a quick layout of the card using Silhouette Studio Designer so that I could print the front sentiment and the edging on the same card stock as the image. I used the Daydreamer font by My Sweet Type. 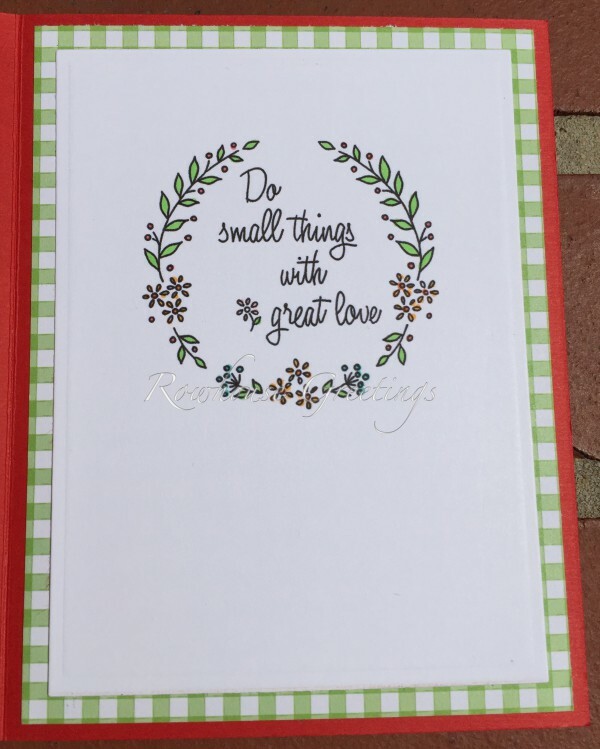 The inside sentiment is a quote attributed to Mother Teresa — “Do small things with great love.” The image used here is actually an embroidery pattern by the Nana Company available free for personal use. Be sure you look around Amy’s website — she has some absolutely stunning quilts displayed there.